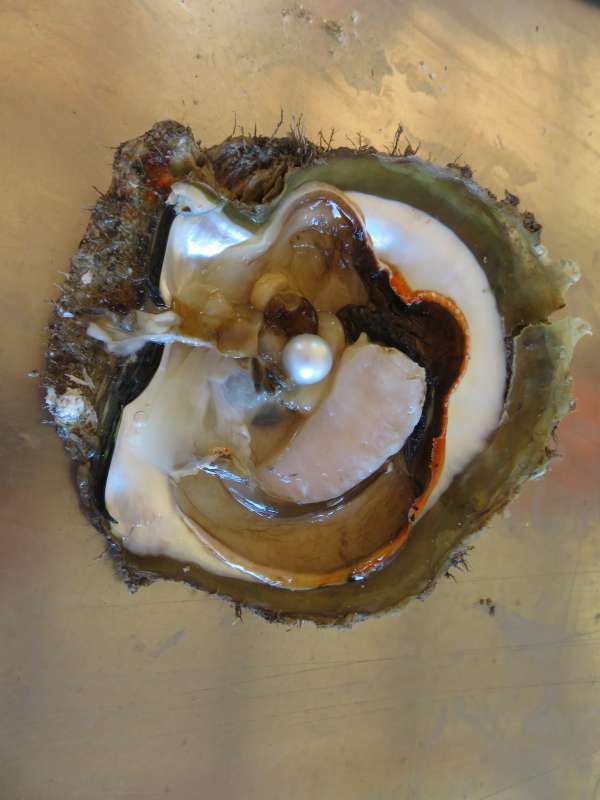 The Travelling Lindfields: Willie Creek Pearl Farm and the Perfect Pearl. Willie Creek Pearl Farm and the Perfect Pearl. Have you ever heard the expression, 'you don't choose the pearl, the pearl chooses you.' At first blush it sounds like just another advertising slogan - except this time it's true. On our first trip to Broome in Western Australia, way back in 2004, David gave me an Australian South Sea Pearl. Out of hundreds of pearls on display, that pearl was the one I fell in love with. It remains my most treasured piece of jewellery. 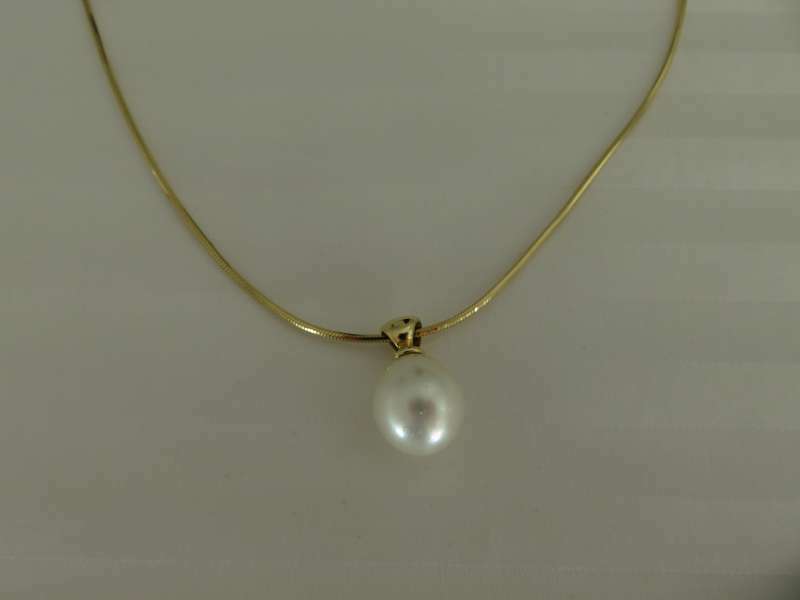 A single, tear-drop shaped white pearl on a simple gold chain - I wear it everywhere. David decided to buy it for me when he saw me admiring the pearls in the showroom of Willie Creek Pearl Farm. With not a lot of time to see the sights of Broome on this trip, the one thing we did not want to miss was a return to Willie Creek and its tour of how these exquisite gems are produced. 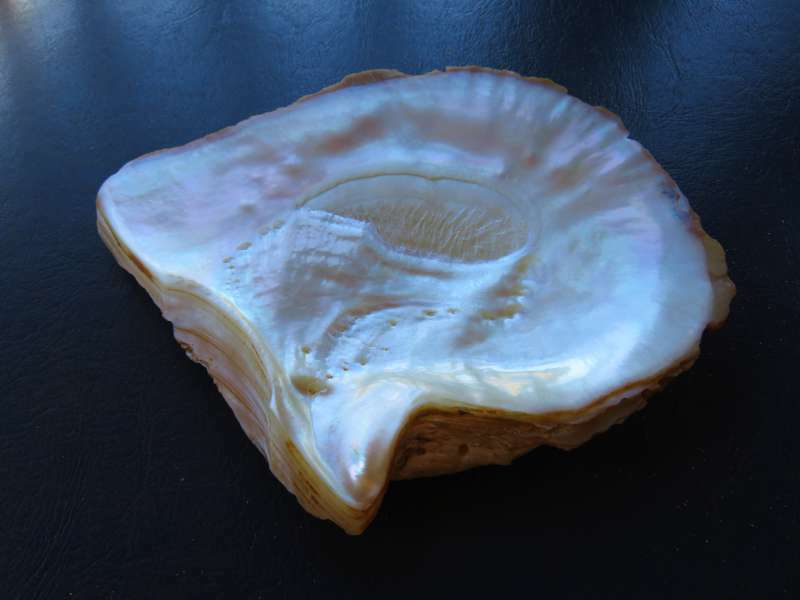 Europeans first began collecting pearl shell, mother of pearl, in Western Australia in the 1850s. 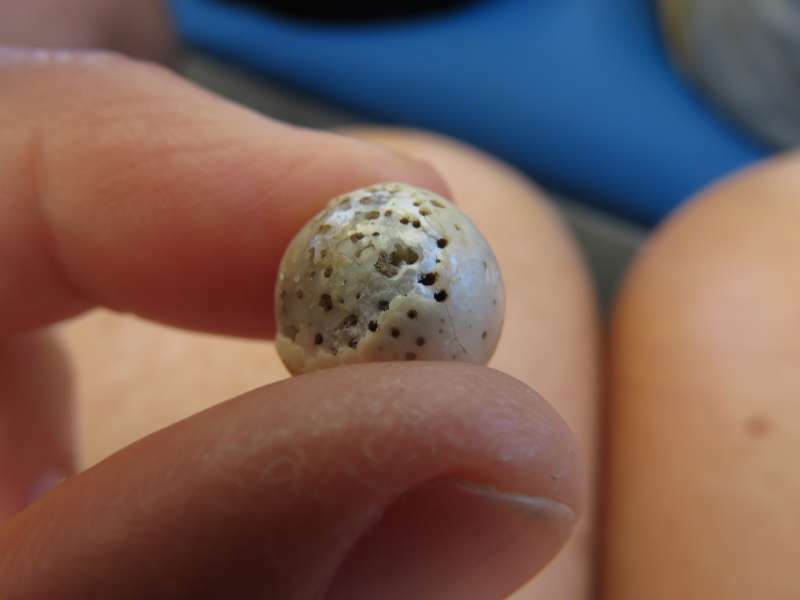 In 1861 the world's largest pearl producing oyster, Pinctada maxima, was discovered at Nickol Bay south of Broome. This discovery began an association between Broome and the pearling industry which continues today. By 1910 Broome was the largest pearling centre in the world. At first pearls themselves were an extremely rare and valuable find and the industry concentrated on harvesting pearl shell. The shell was used to manufacture buttons, cutlery handles, buckles and furniture inlay. In 1904 two Japanese scientists invented a technique for 'seeding' oysters and in 1916, with the involvement of Kokichi Mikimoto, the cultured pearl industry was born. In the 1950s, when plastic replaced many of the uses of pearl shell, the first cultured pearl farms were established in West Australia. 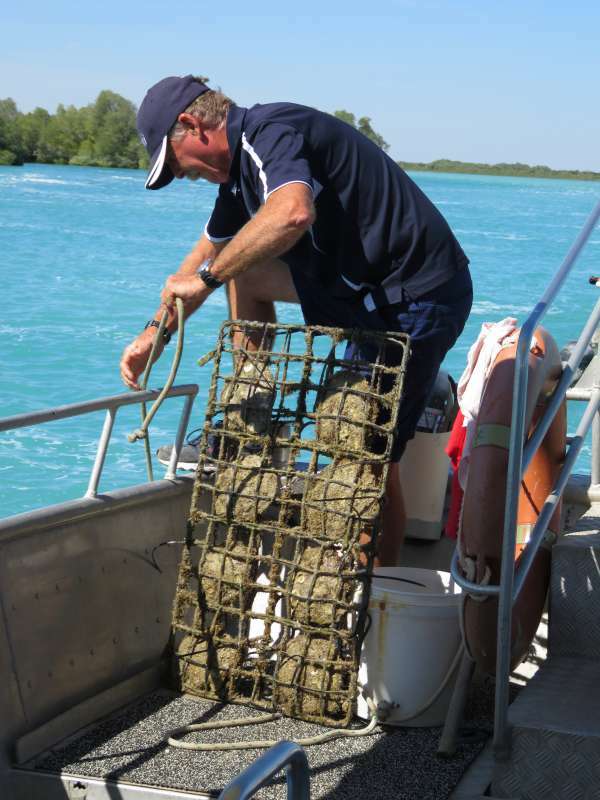 Today pearl farming in Broome is a thriving industry producing some of the world's finest gems. It is not hard to see why mother of pearl was prized. The delicate process of growing an Australian South Sea Pearl begins with divers collecting mature oysters off the coast. The oysters are rested for 4 months while they acclimatise to their new location. 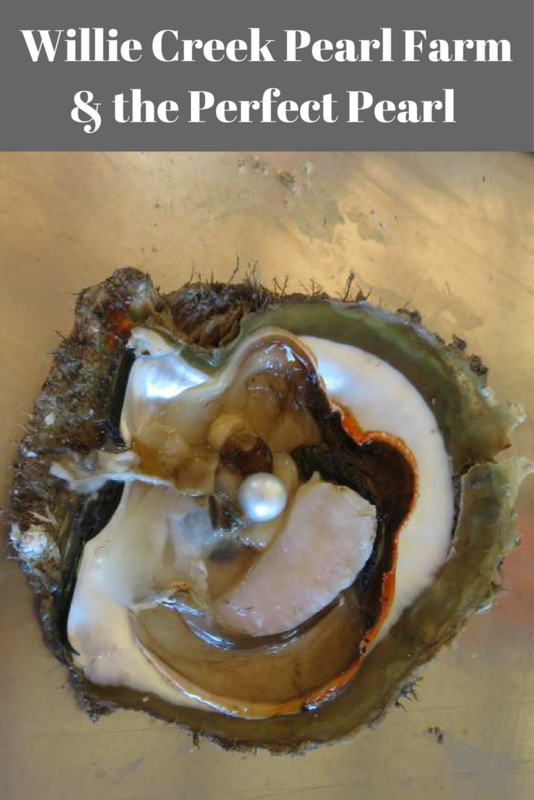 They are then 'pegged' open and a technician creates a small incision in the oyster's reproductive gland, or gonad. The technician inserts a piece of material which will become the nucleus of the pearl and couples it with nacre secreting mantle tissue. Nacre secretions look a bit like thick saliva but harden to form a protective pearl casing around the nucleus, in order to prevent it from irritating the oyster. 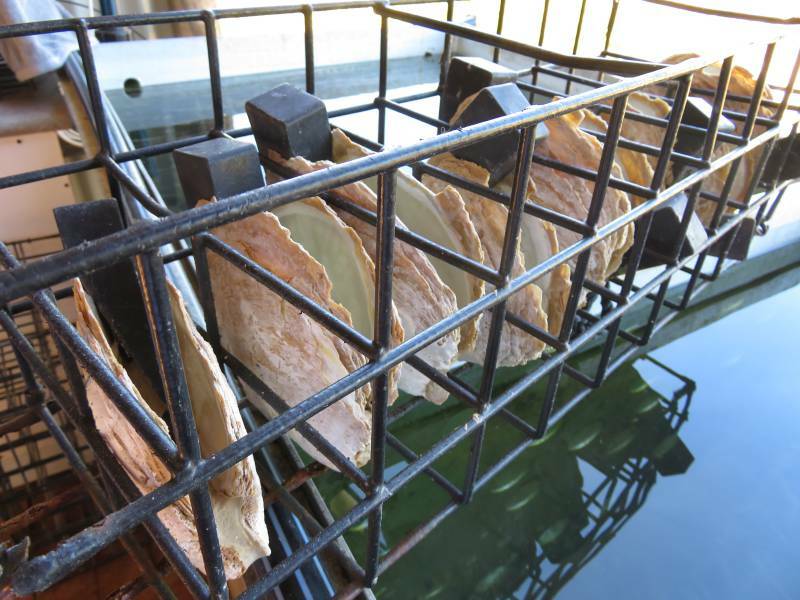 Once seeded the oysters are housed in a wire panel which is placed on the floor of the ocean. The panel is turned at regular intervals to encourage the development of the round shape of the pearl. Then the panels are transported to nutrient rich waters off the coast where they are suspended from longlines several metres below the surface. After two years of regular inspections, cleaning and even x-raying a pearl is (hopefully) harvested. The same process is repeated several times with the resultant pearl a bit bigger each time. Not every oyster produces a perfect pearl - oooppps! Willie Creek Pearl Farm is about an hour north of Broome. Over the course of a very enjoyable two hour tour we were given a wealth of information about pearls and the pearling industry. The tour began in an open-air classroom where Donya, our guide, explained the process of pearl farming showing us how the oysters are collected, seeded and harvested. This was a hands-on lesson with lots of opportunities to handle the oyster shells, the pearls and even the disgustingly gooey pearl-producing nacre. Next time I might give the nacre the miss! The highlight was when Donya opened up an oyster to reveal a stunning, perfectly round, large pearl. Not all pearls come out as perfect as this one and Donya was as delighted and surprised as we were. This gorgeous pearl was in the oyster Donya opened. After a short break for refreshments we boarded a boat for a tour of Willie Creek. The skipper pulled up alongside a longline, hauled in a wire panel housing half a dozen oysters and demonstrated how the divers turn, inspect and clean each panel. This is saltwater crocodile country and I couldn't help thinking that whatever the divers are paid, it isn't nearly enough. The water was deep and murky, and the habitat along the mangrove lined banks and sandy beaches reminded me eerily of the crocodile habitat we had seen again and again in the Kimberley. Although the high tide meant we didn't see any actual crocodiles, the skipper assured us they were there. The skipper hauling in a wire panel of pearl producing oysters. What to look for in a pearl? A pearl with a perfect score will have an excellent lustre, a large size, a perfectly round shape, a white colour and an exceptional surface with no blemishes. (See Donya, I was listening). Of course a pearl like this will also have a perfect price. Luckily my perfect pearl falls down on a few of these virtues. It has a tear-drop shape, a silver-white colour and a small blemish on the reverse side of the setting. In the end though, the perfect pearl is like the perfect wine - don't listen to anyone else - just go for the one you love. In case you were wondering, this is my perfect pearl. The Willie Creek Pearl Farm Tour takes about two hours. Allow yourself an extra hour each way to reach the farm from Broome. When we first did the tour in April 2004, the wet season had only just finished and getting there was half the fun. We went in convoy with a group of other 4WD vehicles over a challenging track, which was sometimes more river than road. Our boys loved it! David and I were just glad there were others in the convoy who could help us out if we got stuck. We are both fairly useless when it comes to 4WDs. This time it was June, the middle of the dry season, and the dirt road had only just been graded. We still had a 4WD. I wouldn't try to get through without one. Don't panic if you don't have a 4WD there is a coach tour option with hotel pick-ups, or if you really want to arrive in style you can get there by helicopter. 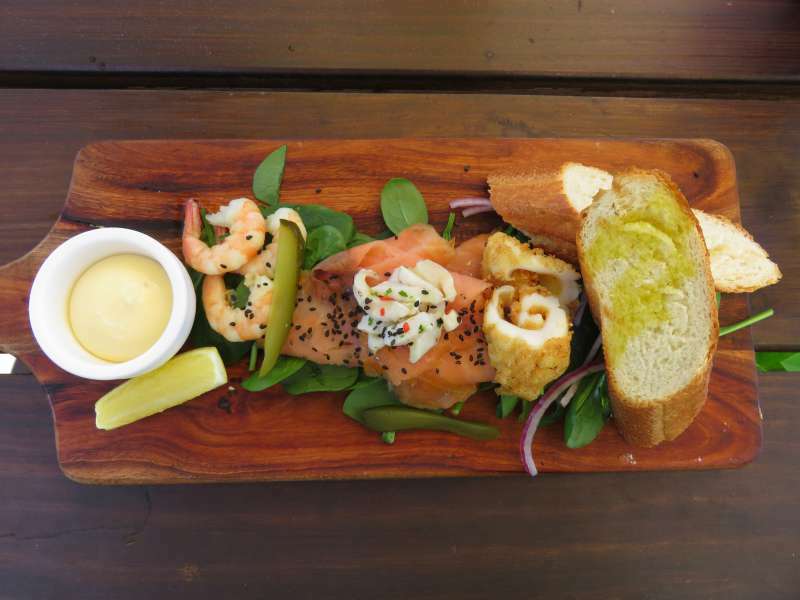 The 11 a.m. tour has a lunch option. I can recommend the pearl meat, if only for the experience of trying something which normally retails for more than $150 per kilo. Pearl meat, which is a muscle, is the only edible part of a Pinctada maxima oyster. Leave yourself time to browse the showroom - you might find your perfect pearl! Lunch. The pearl meat is the white meat in the middle. Note: David and I received complimentary tickets to the Willie Creek Pearl Farm Tour. Emma Gorge: There is something you need to know. The pearl meat was really interesting to eat but I think that is because it normally costs so much. If it was cheap I may not have though it was anything special - lol. Wow - finding a pearl in an oyster at a restaurant must have been one in a million. How amazing. The pearl farm tour looks very interesting. I didn't know there was so much technology behind making cultured pearls. It is a fascinating process. I had a bit of an idea of how they were farmed but it was so interesting to actually see it being done. Haha - you should see the earrings I got a few years later to go with my perfect pearl! I also have a black pearl. I loved the white pearl so much that David gave me a black pearl a few years later. The white one is still my favourite though. What an interesting experience. I've never been to a pearl farm - nor would I know where to find one here in the US. Something so beautiful from what is actually an irritation - another one of nature's miracles. Pearls are found in Hawaii. I am not sure whether there are any pearl farms you can visit there. I have never heard of any. I don't think anywhere in the continental US produces pearls, but I could be wrong. You have made me realise that the opportunity to visit a pearl farm was more unusual that I thought at the time. Now I wonder whether it is possible to visit pearl farms anywhere else in the world. Whenever we buy souvenirs we try to buy something nice. I have a house full of ornaments from various destinations. I agree with you about it being a 'not so good looking oyster'. Let's call a spade a spade here, it is one of the ugliest oysters I have ever seen - lol. How interesting! Sounds like a fascinating visit. That pearl in the shell is beautiful, as is your necklace of course. Thank you. I love my pearl. The one in the oyster is probably worth more because it is perfectly round but I have a soft spot for the tear-drop shape. We love fun stops like that pearl farm! There's a pearl farm in Hawaii that we saw at the Waikiki International Market, but I don't know if they have tours. There's also one in Tahiti right on the water, but I'm sure their actual farm is somewhere else. It's exciting - sort of a gamble to see if there's a pretty pearl in your oyster! Thanks for sharing on #TheWeeklyPostcard and #WeekendWanderlust! I suppose the odds are that at a pearl farm you are likely to get a nice pearl when you open an oyster but it was still lots of fun to see one so perfect. I would love to tour the pearl farm. It looks fascinating! I'm putting it on my bucket list. There are probably not a lot of places in the world you can do a pearl farm tour so you will have to decide to visit Broome. The whole Kimberley region is fabulous so it would be worth the trip even from the US. This was downright fascinating. I remember all the sales pitches when we were in the South Pacific, but no one ever told the story of the pearl. Absolutely beautiful, the one you have. I can see why you fell in love with it! I think most people have a vague idea of how cultured pearls are created but it was really interesting to learn the details. Wow! How awesome is this!! It's such a unique experience to see and learn about the pearls! I would love to do this! Pinned! Thanks for linking up with #TheWeeklyPostcard! It was loads of fun and even better because I learnt a few things as well. Thanks. I think my pearl is perfect too - lol! All the more so because it was a gift from David. If I would have known about Broome's pearl industry, I likely would have included in our 2 month Australian visit. I love those places. We went to the Blue Pearl gallery in New Zealand, and watched the film about seeding the abalone to produce blue pearls. And of course, I now own one. What a shame you didn't know about Broome. You must have been close when you were at the Coral Coast. It is only 1300km from Ningaloo to Broome which isn't terribly far in Western Australian distances. Dark pearls come from different oysters. I don't think they produce them in Broome, although I think Donya said they might be just starting too. I believe they come from the South Pacific around Tahiti and Hawaii. Rose coloured pearls I am not sure about. I do know some pearls are died to produce different colours but a rose colour sounds like it might be naturally occuring. Absolutely fascinating. The pearl farm would be so interesting to visit. It really was interesting. We enjoyed it. Interesting to see how the pearl farms work. I think I prefer the mother of pearl to the pearls themselves - the colours are so subtle. The mother of pearl is gorgeous but it might look a bit silly around my neck - lol! Lyn, I've got the Kimberly region firmly planted on my list for my big Australia trip. I love these kinds of tours where you learn how things grow, work, are sold. And hey...pearls! What is not to love about Pearls - lol. I have a few more posts to go on our Kimberley trip so keep an eye out over the coming weeks. Next week will be a post on Queensland but then we are back to Western Australia for quite a while. Thanks Ryan. There is a lot more to farming pearls than you would expect. The oysters need a lot of care to ensure they don't get attacked by other organisms.